There are lots of seedlings this year; some of them had mildew this summer, but others are looking exciting. Breeding goes on. A redfleshed seedling I found this summer near an agricultural institute at the northern university area in Göttingen. 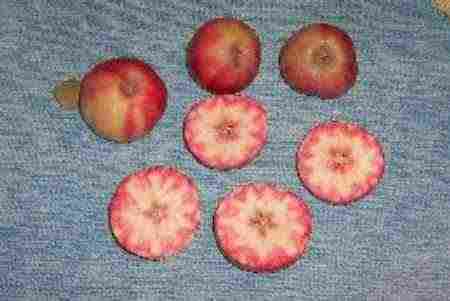 Fruit is as big as `Golden Delicious´, very juicy. 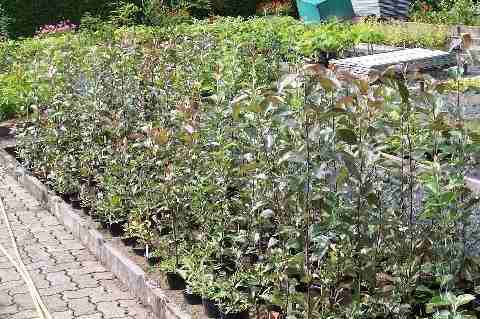 Malus niedzwetzkyana; probably the `mother´of most redfleshed varieties. 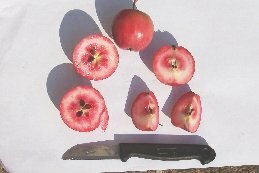 Malus `Rubens´, a redfleshed variety from a German nursery; graftsticks were taken from a hundred year old tree found in the Bavarian Forest (south-east Germany). 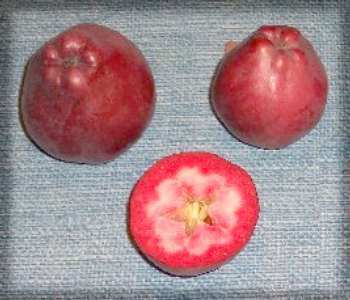 Compared to others, fruit is small, tart but juicy. 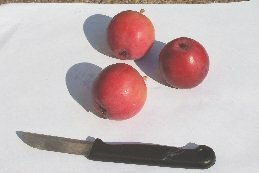 I laid a potato knife at the bottom for scale. 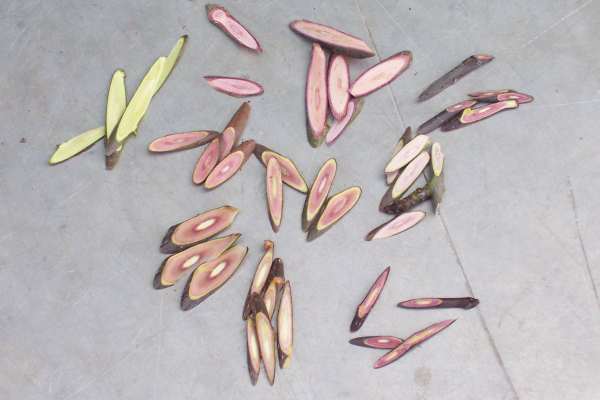 Photograph of new graftings from red fleshed scion wood done last year, all in pots. 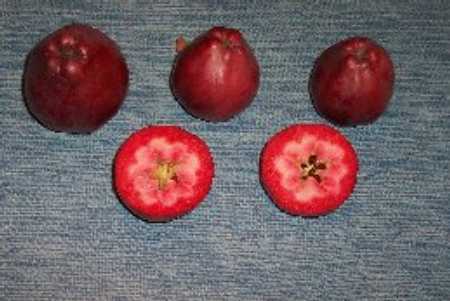 A picture taken during the grafting season - the wood from some red-fleshed varieties, contrasted with that from a rootstock (top left). Click on the thumbnail picture to see the detail. Copyright: Reinhard Schomberg-Klee / Diversity website; web page by ND.